Unashamedly drawn with twenty-twenty hindsight and through a modern lens, my debut book is a sideways look at the story of Britain from the end of the Ice Age to the dawn of the Twenty-First Century. Drawn From History features some of the nation’s most significant episodes and characters, captured in a new and amusing way. The book is a series of cartoon snapshots. 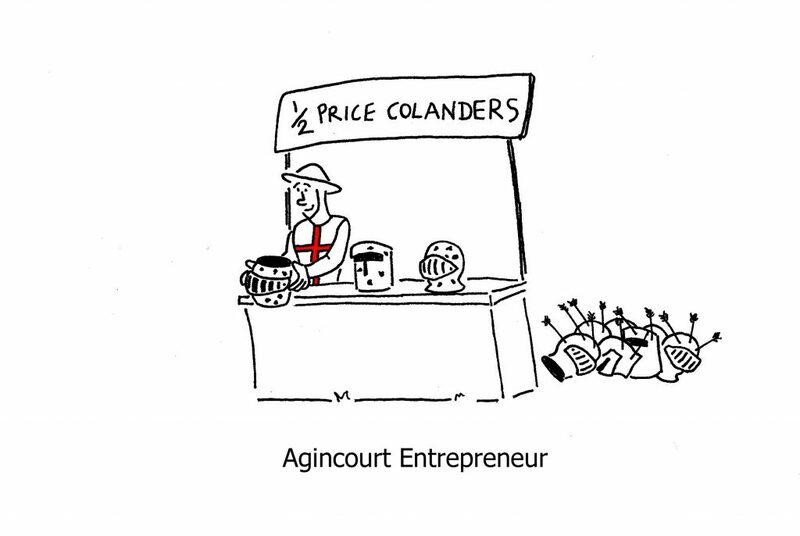 Single panel line drawings recreate and reimagine events from across ten historical periods including Ancient Britain, The Tudors and The Victorians. Drawn From History exists to be a source of fun or a welcome present for History buffs young and old alike. Hopefully, the accessibility of cartoons might also help some new people to engage with History for the first time too. Underneath the silliness there are still interesting nuggets to learn about, but overall I hope the book brings people enjoyment. 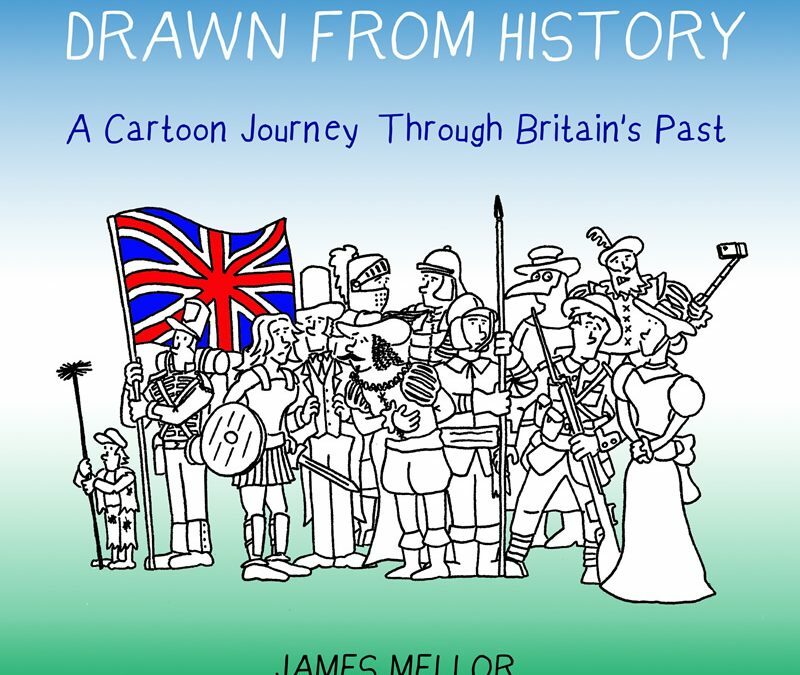 For those who enjoy the usual topical cartoon round-up, currently every copy of Drawn From History bought directly from JMC will come with a free ‘Best of 2016’ Cartoon eBook – to be dispatched once 2016 is compete (you never know, there might be some good work coming in November and December). Many thanks to all of you who have supported my cartooning to date and allowed me to reach a position from which I could create my own book. Many thanks to those of you who pre-ordered a copy and thank you in advance to those who will be buying a book soon for themselves, or as a Christmas present for that history mad relative. Drawn From History was launched on 25th October 2016 at the suitably historic Institute of Directors. It is published by Filament Publishing and is available for purchase here and at many other reputable online retailers.